Looking for Tobermory real estate -- than you have definitely come to the right place. Each of these real estate agents have an extensive list of homes for sale. Tobermory has some of the best REALTORS® to work with that can help you purchase a new home or put your current property on the real estate market for top dollar. There are currently fifteen Tobermory homes for sale with new homes added daily — select one of the five best real estate web sites from above to help you get started or try following HomesGreyBruce on Google or Twitter to receive notifications when new Tobermory homes hit the market. It is considered one of the most important steps in a person's life, like getting an education and settling down with a partner. But many things can go wrong when buying a home, and it's wise to take one step at a time. In Tobermory, Real Estate varies, from waterfront properties to cottages and luxury homes in the suburbs and gated communities. All Buyers have different wants and needs; here is a few things to consider when you're looking to buy your first home in Tobermory. Everybody would love to impress their friends and family with a beautiful home that has a backyard view of the bay and a kitchen with the latest utilities, fittings and cabinets. 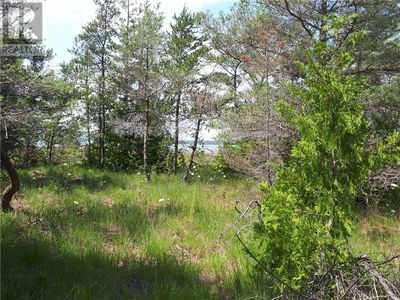 Plenty of buyers are most impressed by the Georgian Bay views these homes have. Remember the objectives you set when you wanted to buy a home in Tobermory and what kind of budget you have. If your dream home does fall within that budget, find out how much it will cost to maintain it. Location influences real estate buyers differently. Some want to be near the harbour, the shoreline, the National Park or the Golf Club. Others want easy access to the Highway or want to be close to their workplace or kids' schools. Location is even more important for buyers than renters because it impacts the property's value if and when it comes time to sell. When you hire a REALTOR® who specializes in Tobermory, talk to them about the comparative market analysis for each neighbourhood. Things to consider are security, traffic, industries, and zoning bylaws. Legislation significantly affects the real estate markets. Security, however, should be your top priority. Look out for the least expensive homes in more expensive neighbourhoods and compare the state of the home with others. When it comes to reselling, if you maintained the property well or renovated it, you could reap a lot more from it than the amount for which you bought it. Before you sign on that dotted line only to discover that the floor heaters you paid for always need repair, hire a home inspector. The inspector is the only other person who will notice red flags, such as an outdated electrical or plumbing system. These systems are the core foundation of your home and are expensive to replace compared to just a creaking door. A home inspector will broaden your perspective by giving you their objective opinion in report form. If the home is in great shape, then you can move on to the next step. However, if it's beyond repair and has a serious termite problem, you might decide to look elsewhere in Tobermory. Think of a home as an investment and find out if the price is negotiable. If so, haggle it down. If you're facing another buyer with more money, it's time to re-think how much you want that particular home. Sometimes REALTORS(r) introduce multiple buyers to a property to get it to sell faster. Don't fall into this trap and select a reputable agent from the list above to avoid paying more than you intended. Look out for mortgage costs. Hidden costs such as transfer fees, inspection fees, legal fees, and property tax will ultimately influence your buying price and the amount you need to borrow. You don't want the bank to repossess your home because you can't keep up with the monthly payments, so ensure you can afford it. Visit your lending institution before you even start shopping to get pre- approved. This way, you find out exactly how much you can afford to spend on your dream home. If you have doubts before signing, take some time off and do some further research about the house or ask one of the Tobermory real estate agents from above who specialize in this area questions about that house before you buy.